The UK's decision to quit the EU has put Ellesmere Port's future in doubt. LONDON -- PSA Group is cutting jobs at a UK factory that builds Opel and Vauxhall Astra cars for European markets. The French automaker, which finalized its purchase of Opel/Vauxhall from General Motors in August, will ax up to a quarter of the workforce at Vauxhall’s plant in Ellesmere Port in northwest England. PSA said it will cut 400 jobs at the factory to improve the production facility's competitiveness, confirming an earlier report in Automotive News Europe. Ellesmere Port needs to adjust production volumes because of "challenging European market conditions and a declining passenger car market, a PSA spokesman said on Friday. The factory must also improve its performance to protect its future, the spokesman said. The cuts will be made through voluntary layoffs. The cuts will happen by reducing production to a single shift, down from two now, sources told ANE. The plant is one of two Astra production factories in Europe along with Gliwice in Poland. It builds Astra hatchbacks and wagons and employs 1,667 people, according to Vauxhall’s website. The move throws into doubt the plant’s survival after 2021 when production of the current Astra comes to an end. PSA has given assurances that production would continue until that date but not beyond that. Ellesmere Port’s future was already being questioned following the UK’s decision last year to exit from the European Union in 2019. That could make manufacturing more expensive if, as is looking increasingly likely, the UK fails to agree tariff-free access to EU markets. Cars built in Ellesmere Port are dependent on parts delivered from the EU, with only a quarter of the car’s content coming from UK suppliers. The UK is Vauxhall/Opel’s biggest market, but Vauxhall sales fell 20 percent in the first nine months as the overall British car market cooled. Fleet sales account for around three quarters of all Vauxhall sales. Astra sales across Europe fell 2.6 percent through August, according to market researchers JATO Dynamics. The job cuts will anger unions, who have been given assurances Astra production will remain in Ellesmere Port until 2021. 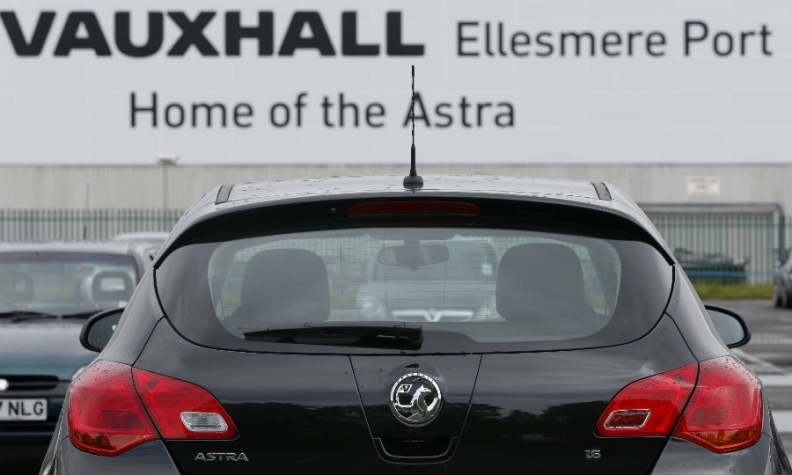 "PSA has stated that they are committed to producing Astra and we have stated clearly we are keen to get investment into that plant for new models,” said a spokesman for Unite, Britain’s largest trade union. PSA is committed to the Ellesmere Port plant, its spokesman said, while pointing that current manufacturing costs there were "significantly higher" than those of the benchmark PSA plants in France. Tavares said last month that it was hard to decide upon the group's strategy for Vauxhall given lack of clarity over Britain's plans to leave the European Union. Earlier this week PSA announced new compact and midsize models for its Sochaux and Mulhouse plants in France in 2020 and 2021, which it said secured their future over the next decade.